Slovensky raj translates directly to mean ‘Slovak Paradise’ in Slovakian. Part of the area is a candidate member of the European Wilderness Network because of its high biodiversity, wild forests and high number of gorges, waterfalls and caves. Recently the park celebrated its 30th Anniversary. Protected areas in Slovakia are unusual because they can be owned by government, communities and private people. 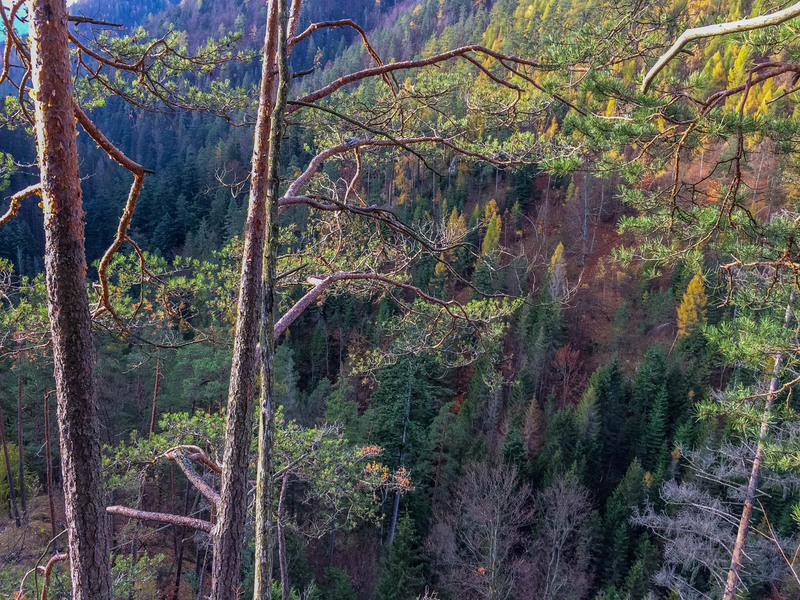 Recently Slovakia has created a way for the Ministry of Environment to buy the land inside protected areas. This created the tools to better protect the area, particularly biodiversity and Wilderness, from extractive uses such as logging, grazing or mining. At the 30th Anniversary event, Michal Bittšansky, Chairman of the Landowners Association Tomašovce, spoke of the reasons for selling part of the private land in the core zone of Slovensky raj to the state. His family (Bittšanských) and the Porazikových family owned this land, and it has been in their family for generations. It is where many of the family members grew up. To these families the land is special and needs to be protected. They was approached by business people, but refused and instead sold the land to the state for a smaller price. For them it was not about the money. It was more important that the national park will guarantee protection of ‘their’ land for future generations. The families will continue to visit their land, and the whole National Park, to enjoy its uniqueness, which will be protected by the park management. We visit this area very often. We grew up there. Because of this frequent and intimate relation with the area, the Slovensky raj became for us rajom na zemi (paradise on Earth).